I had the distinct displeasure of sitting within listening distance of a family at dinner tonight. My ears were assailed with the most incredulous conversation regarding tattoos I have heard in a long time. Living in the south as I do, I should know better than to think the intelligence quotient here is going up. One can only hope. A mother and child were talking about what the child might like to do when he was older. The child, with more than a little mischievousness, said “get a big tattoo of a skull on my chest”. The mother groaned and said “I have high hopes that fad will be over by the time you get that old”. I groaned inside my head because I knew where this was going to end up. She proceeded to misinform this poor child with every bad tattoo myth you could possibly imagine. Here they are along with the real facts. Humans have been modifying their bodies with ink permanently for thousands of years. They have been doing this by many measures for almost as long a written history has been available. Otzi the Ice man was found after over 5 thousand years being frozen in the mountains between Italy and Austria with over 50 tats. It is not a “Fad” and is not going away ever. A Tattoo is a sign of rebellion and only shady people like criminals get them. The truth is that intelligence has no significance on one’s inclination to get body art. Studies have shown that the desire to have a body modification is as prevalent with the upper class and those of high intelligence as the poor, slow learners or criminals. It’s a preference simple as that. Tats lead to infections and skin ailments or even HIV. The biggest fear of getting a new tattoo, whether this is your first tattoo or your twenty-second, is infection. In the world of body modification the most common ways to contract infections are contaminated instruments and needles, unsanitary tattooing conditions, or improper aftercare. In short, like any good contractor, choose your artist wisely. Get references and confirm they follow all the proper safety standards. The real truth is any shop that has been in business for a long time is likely safe as the ones that cause problems vanish overnight. If you do that and manage the aftercare properly you are no more likely to get an infection than if you got your ears pierced or a manicure. Getting inked will prevent you from getting a decent job. While employers SHOULD pay more attention to your skillset and ability to do the required job the sad reality is that in some cases having visible body art can preclude you from landing some jobs. This is never because of the art but rather the prejudice and ignorance of the person doing the hiring. 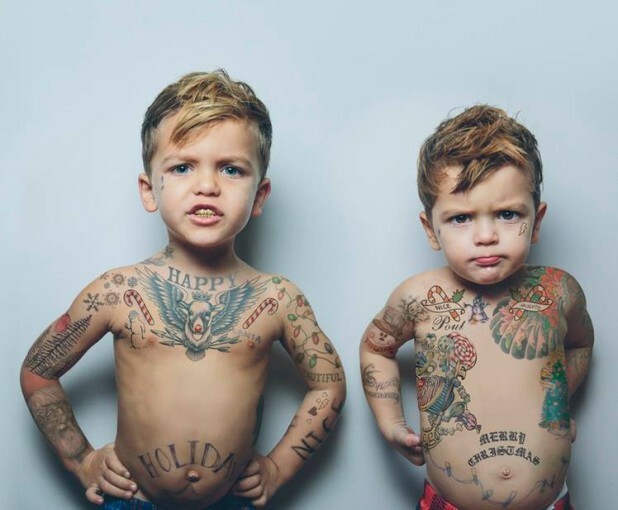 Times have changed and tats are not the stigma they once were thankfully. When you are old you will regret having these things all over your body. Yes as we age skin wrinkles and sags and this does indeed change our overall appearance. The fact is that where most people get tats will never wrinkle or sag enough to alter the overall artwork to the point it is no longer recognizable. A better argument is who in their right mind actually labors under the delusion that anyone besides themselves matter when it comes to body art. In all likelihood any ink you get will still look great to you when you are 90. You will immediately regret getting one. This is really not true at all. You can find hundreds of studies based on cross sections of the population that align with both the regret and non-regret crowds. The fact is that tats are not the only thing people regret as they age. I would wager there are many people that regret not taking typing class too. This is a direct psychological condition. People that are happy with themselves and that are comfortable in knowing that their past shapes who they are do not experience the kind of regret this mother is describing. I don’t know what was worse, the fact that this poor woman was so misinformed or that she was pushing this ignorance on a fresh young mind. I guess it bothered me a lot because it reminded me of how children are indoctrinated with religion all day every day. Kids respect your parents but it is not disrespectful to go out, be informed, study facts and learn for yourselves.